Music producers! Sell or lease beats? Now the question is should you lease your music or sell it straight out? 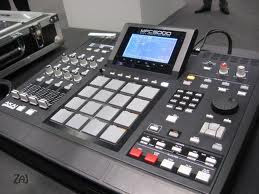 If you are an up and coming producer then you probably want to lease beats to unsigned artists. Unless you know people willing to pay $500 for exclusives, then it's probably worth it. But if you're selling exclusives for like $50, you're probably better off just leasing them. Think about it like this, if you currently are selling your music to unsigned artists on the internet, then leasing is probably better. because selling exclusive rights to local artists usually is a waste of your time and a potentially good track that could have been placed with a better known artist. When you're selling your music exclusively, make sure either you get a good amount of money, or that the artist is gonna make good use of it. Artists and bands make sure you submit your music to these radio networks.